Irton Hall is set within 19 acres of ground and 12 acres of mature parkland, which you are free to explore - and the Hall lies close to the majestic western fells of the Lake District National Park at the junction of Wasdale, Miterdale and Eskdale. The local area is largely unaffected by mass tourism and rewards leisurely exploration on foot, by bicycle or in the car. Close by Irton Hall are nature reserves, fishing tarns and Seascale Golf. See Outdoor Pursuits. The Cumbrian Cycle Way is within two miles of Irton Hall, and there is access to the Coast-To-Coast long-distance footpath at Ravenglass, four miles away. 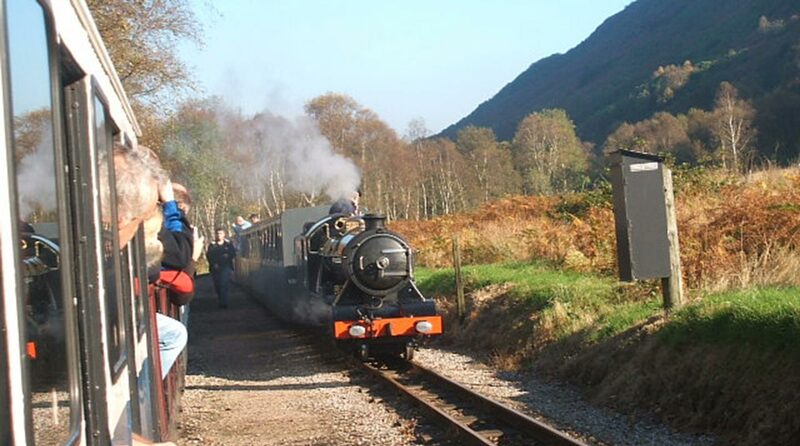 Ravenglass and Eskdale narrow-gauge railway was first opened in 1875 to carry iron ore to the Furness Railway. It now carries passengers who can join the service at the former Roman port of Ravenglass, on a rail journey of seven miles along the Eskdale valley to Eskdale. Trains are hauled by either steam or diesel engines and the journey lasts approximately 40 minutes. Telephone 01229 717171 for details of departure times. The seven-mile ride has been described as ‘the most beautiful train journey in England’. The Lakeside & Haverthwaite Railway. Steam trains run daily from May to October at Haverthwaite station, near Ulverston, and just over two miles from Newby Bridge. There’s an engine shed, a picnic area, shop and station restaurant. Telephone 015395 31594 for departure times and further details. Access to potter's wheels for anyone wishing to practice and make more pots. Gosforth Pottery in the village of Gosforth. 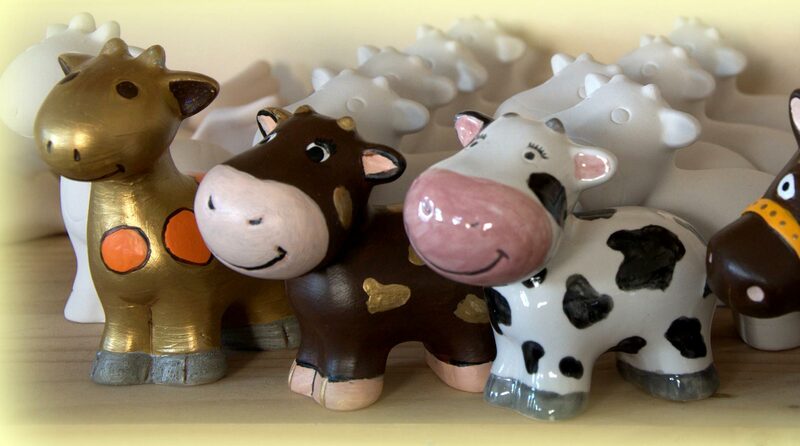 Pottery courses are available, or can simply purchase a piece from their well-stocked shop. Wetheriggs Country Pottery, Clifton Dykes near Penrith, off the A6, is open 10.30am - 5.30pm, with pottery, museum, shop, tea-room and restaurant. Hornsea Pottery, Wyresdale Road, Lancaster. There's a pottery shop, gift shop, cafe and extensive leisure park – including a Rare Breeds Survival unit and children's farmyard. Open March to October 10am - 5pm. The Pennine Pottery, has a pottery, cafe and gift shop. Find it at Clargill Head House, Alston. Open 10am -5.30pm Tuesday to Sunday. April to January. Laburnum Ceramics is a delightful gallery in a cottage-garden setting. The gallery is devoted to contemporary ceramics and glass, with work from 60 artists on display. Labumum Cereamics is located at Yanwath, three miles south of Penrith, off the B5320. Open 10.00am - 4.30pm every day except Monday and Tuesday. Tel: 01768 864842. 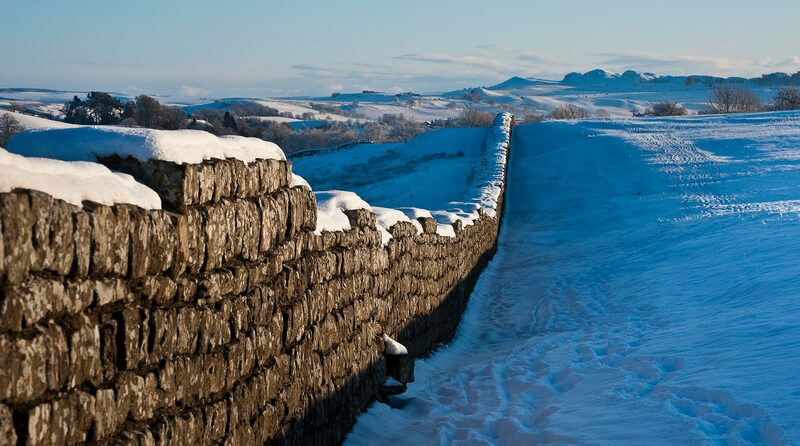 To the north of the northern Lake District, Hadrian's Wall is the most important Roman monument in Britain. There are many places of interest to visit along the Wall, including Roman towns, forts and museums. Shap Abbey, the ruins of The Abbey of St. Mary are located below Shap, and the abbey was founded in the 12th Century, originally housing the Premonstratensian Order of Monks. From 1540, the Abbey fell into ruins after the Dissolution of the Monasteries by Henry VIII. The Abbey lies in a picturesque valley by a stream and is an ideal spot for a picnic on a sunny day. Close to Irton Hall is Muncaster Castle. This historical castle includes gardens, owl centre, play area, gift shops, picnic area, Victorian summer garden, nature trail and orienteering course, plus a plant centre. Situated on the A595 east of Ravenglass, the gardens and owl centre are open daily 11.00am to 6.00pm. The castle opens Sunday to Friday 12.30pm - 4.00pm, March to October. Appleby Castle is open from Easter to September, 10.00am to 5.00pm. It has a beautiful riverside setting and one of the finest Norman keeps in the country. There is also a collection of rare British farm animals and birds, gift shop, cafe, tea rooms, picnic areas and 'Tarzan trail'. Brougham Castle a 13th century fortress and keep restored by Lady Anne Clifford in the 17th century, this fine castle is located on the A66 two miles east of Penrith. Open daily 10.00am - 6.00pm, April to October. Leighton Hall, near Carnforth, is a castellated hall located in lovely surrounding parkland. There's a maze, birds of prey flights, tea rooms, and gift shop. Open May to September 2.00pm - 5.00pm. Closed Monday and Saturday. Lancaster Castle is open Good Friday to September 10.30am - 4.00pm, seven days a week (when the courts are not in session). 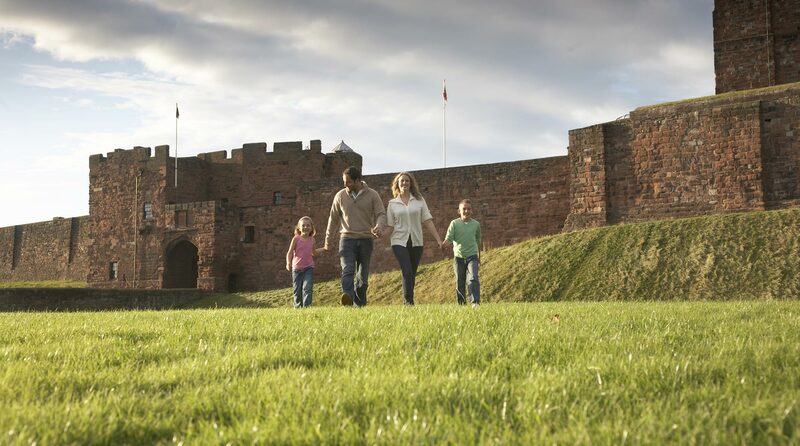 Carlisle Castel has medieval dungeons and Norman keep, plus an exhibition of Bonnie Prince Charlie's Jacobite rising. The castle was once home to Mary Queen of Scots. Open April to September 9.30am - 6.00pm. Windermere Steamboat Museum. Rayrigg Road, Windermere. Open Easter to October inclusive, 10am - 5pm. Steam launch displays and trips are on offer as well as photographs, shop, refreshments. This is an excellent wet weather attraction. Museum of Lake and Life and Industry. This museum shows how Cumbrian ancestors lived, worked and entertained themselves over the last three hundred years. Exhibits include a typical street scene with shops and workshops, costumes and embroideries. Lectures, craft demonstrations and courses including rag rug making, lace making and basket making. Open every day February to December 10.30am - 5pm. Situated in the grounds of Abbot Hall in Kendal town Centre. Cars of the Stars Motor Museum. Featuring TV and film vehicles from Chitty Chitty Bang Bang, James Bond, Batman, Herbie and Thunderbirds, plus film set displays. Standish Street Keswick. Open 7 days 10am- 5pm Easter to New Year. Lakeland Motor Museum. A nostalgic reminder of transport and horticultural bygones appealing to all ages. A unique private collection of vehicles, cars, bikes, including the Campbell Legend, Bluebird Exhibition located at Holker and Gardens, 15 minutes from Newby Bridge on B5278 near Grange over sands. Open April to October 6 days (not Saturday) 10.30am - 4.45pm. Cumberland Pencil Museum. A journey through the history of pencil making including the history of graphite mining and video shows of pencil making and artistic techniques. Brass rubbing and childrens drawing corner. Southey Works, Greta Bridge, Keswick of the A66 to Cockermouth. Open 9.30am - 4pm. Tel: 017687 73626. Wythop Mill Embleton Woodworking Museum. Vintage woodworking tools and machinery powered by an overshot waterwheel. Victorian kitchen, wheel-wright and blacksmiths displays. Local history exhibition of Wythop showing aspects of village life over the last 2000 years. Open Easter to October 6 days (closed Mondays) 10.30am - 5.30pm. Half a mile off A66 between Keswick and Cockermouth. Threkeld Quarry & Mining Museum. The museum of Lakeland's industrial, quarrying and mining heritage, a working quarry until 1982. Located off the A66 three miles from Keswick. Open 11.00am - 4.45pm Easter to October, (not Thursdays.) Tel: 017687 72645. Killhope Lead Mining Museum. Hands-on activities, visitor mine, waterwheels, woodland walks. Open daily April to October 10.30am - 5pm. Please wear warm waterproof clothing and sensible footwear. Located on A689 between Alston and Cowshill. Tel: 01388 537505. Also close by is the Muncaster Water Mill, at Ravensglass. Muncaster Water Mill has been producing flour since at least 1455. The mill is still operating using 19th centry machinery to produce organic stoneground flour. You can take a tour of the mill and purchase their products. Windermere Steamboat Museum. Rayrigg Road, Windermere. Open Easter to October inclusive, 10am - 5pm. Steam launch displays and trips are on offer, as well as photographs, shop and refreshments. This is an excellent wet-weather attraction! Museum of Lake and Life and Industry. This museum shows how Cumbrians have lived, worked and entertained themselves over the last three hundred years. Exhibits include a typical street scene with shops and workshops, costumes and embroideries. There are lectures, craft demonstrations and courses, including rag rug-making, lace-making and basket-making. Open every day, February to December, 10.30am - 5pm. Situated in the grounds of Abbot Hall in Kendal town centre. Cars of the Stars Motor Museum. The museum features TV and film vehicles from ‘Chitty Chitty Bang Bang’, James Bond, ‘Batman’, ‘Herbie’ and ‘Thunderbirds’, plus film set displays. Standish Street Keswick. Open 7 days, 10am- 5pm Easter to New Year. Lakeland Motor Museum. This nostalgic reminder of transport and horticultural bygones is designed to appeal to all ages. A unique private collection of vehicles, cars and bikes, the Campbell Legend Bluebird Exhibition is also a prominent exhibit. 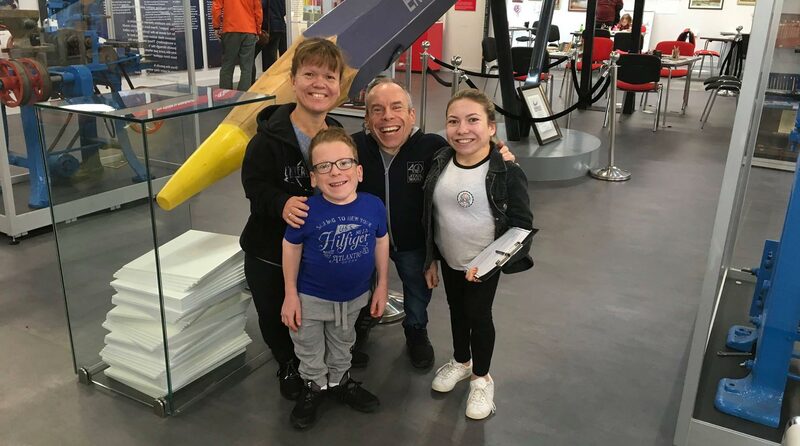 The museum is located adjacent to the arterial A590, between Newby Bridge and Haverthwaite, only 20 minutes’ drive from J36, M6 and the Central Lakes (Bowness), via the A592. Cumberland Pencil Museum. Take a journey through the history of pencil-making, including the story of graphite mining. There are also video shows of pencil-making and artistic pencil techniques, as well as brass-rubbing and a children’s drawing corner. Southey Works, Greta Bridge, Keswick of the A66 to Cockermouth. Open 9.30am - 4pm. Tel: 017687 73626. Wythop Mill, Embleton, Woodworking Museum. Vintage woodworking tools and machinery are powered by an overshot waterwheel. There are Victorian kitchen, wheel-wright and blacksmith displays, as well as a local history exhibition of Wythop, showing aspects of village life over the last 2000 years. Open Easter to October, six days a week (closed Mondays), 10.30am - 5.30pm. Find it half a mile off A66 between Keswick and Cockermouth. Threkeld Quarry & Mining Museum. The museum of Lakeland's industrial, quarrying and mining heritage, this was a working quarry until 1982. It’s located off the A66 three miles from Keswick. Open 11.00am - 4.45pm, Easter to October (not Thursdays). Tel: 017687 72645. Killhope Lead-Mining Museum. This fascinating museum offers hands-on activities, visitor mine, waterwheels and woodland walks. It’s open daily, April to October, 10.30am - 5pm. Please wear warm, waterproof clothing and sensible footwear. It’s located on the A689, between Alston and Cowshill. Tel: 01388 537505. Also close by is the Muncaster Water Mill, at Ravensglass. Muncaster Water Mill has been producing flour since at least 1455. The mill is still operating, using 19th century machinery to produce organic stone-ground flour. You can take a tour of the mill and purchase their products. Abbot Hall Art Gallery is an elegant Georgian house on the bank of the River Kent, it contains classical and modern art collections, plus temporary exhibitions. Located at Kirkland, Kendal, and open every day, February to December, 10.30am - 5.00pm. 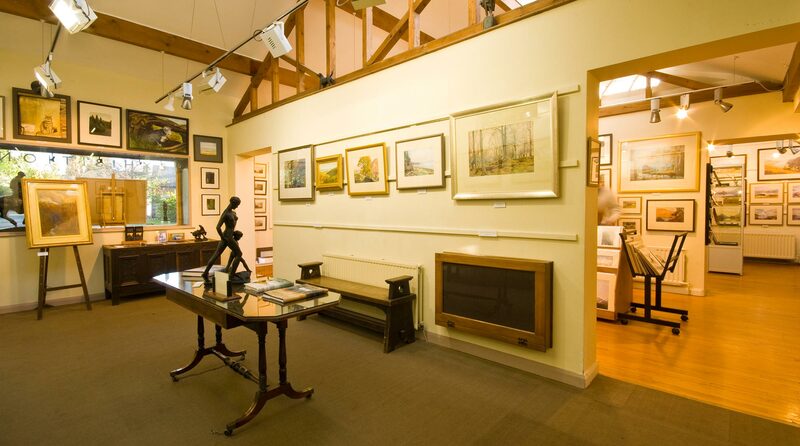 Beckstones Art Gallery is a specialist art gallery exhibiting original works by up to 40 of the nation's top artists. Situated in a small hamlet three miles west of Penrith, it's signposted off the A66 to Keswick. Open every day 10.00am - 6.00, March to October, and Friday, Saturday and Sunday, and open 10.30am - 4.30pm during the rest of the year. Pendragon Gallery, find it at the Fat Lamb Inn at Ravonstonedale. There are Spring, Summer and Autumn exhibitions by local artists, photographers and crafts people. Levens Hall is a magnificent Elizabethan mansion built around a 13th century pele tower. 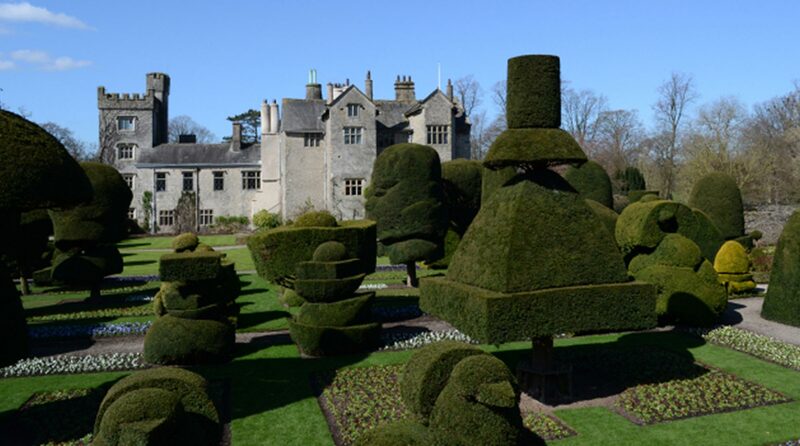 Laid out in 1694, its topiary gardens are magnificent. A working steam collection (with Bertha the engine) operates on Sundays and Bank Holidays; there is also a children’s adventure playground. Open Sunday to Thursday, April to October. 10.00am - 5.00pm. 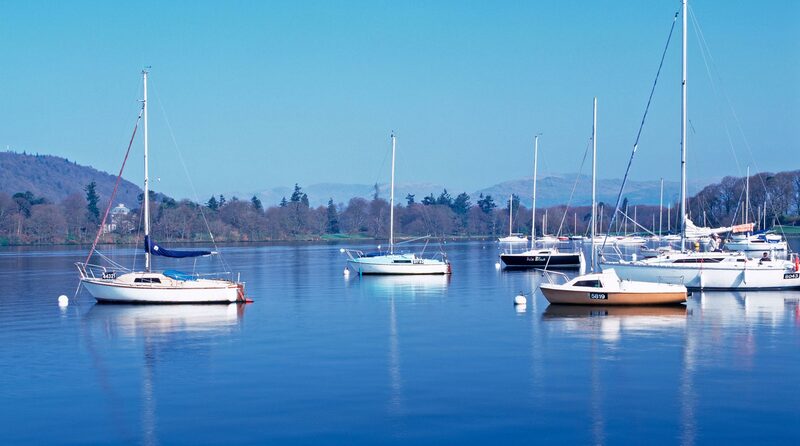 It’s just five minutes from the M6, exit 36, five miles south of Kendal on the A6. Holker Hall was once owned by the Dukes of Devonshire and is now home to Lord and Lady Cavendish. The gardens have won national awards and are classed as amongst the best in the world. There is a 125-acre deer park, an adventure playground, and picnic area. Holker Hall is situated at Cark-in-Cartmel, near Grange-over-Sands, South Lakeland. Esthwaite Water contains a first-class, well managed trout fishery, with excellent facilities for boat or bank fishing. It is regularly stocked with premium-quality trout throughout the season - and whether you’re an expert or beginner, you’ll be made very welcome. A guiding service and fly-fishing tuition is available.There’s also winter pike fishing as well as general coarse fishing on Esthwaite Water, and there’s a fully stocked on-site fishing-tackle shop. Aquarium of the Lakes is on the southern shore of Windermere, near Newby Bridge. It’s open daily from 9am, with undercover displays, an ‘Otter Encounter’ and a Seashore Discovery Zone. Market In Penrith: there is a large market attracting vendors and visitors from all over the North of England. Located at junction 40 of the M6, it’s open from 9am to 4pm every Saturday, and also incorporates a Car Boot sale area. It’s well worth a visit for value-for-money meat, cheese, eggs, household items, clothes and garden plants. Lakeland Bird of Prey Centre is set within the walled garden and parkland of Lowther Castle, Lowther, near Penrith. It’s open daily from 10.30am, with flying displays at 11.30am, 2pm and 4pm. Highgate Farm and Animal Trail, Morland, near Penrith. Open every day 10.00am - 6.00pm, this traditional farm also has rare breeds and exotic animals. There’s also an adventure play barn, sand-pit, bale maze, free pony rides and Wendy Farm House – plus there’s a picnic area and shop. Find it off the A66, three miles west of Appleby. Rheged Upland Kingdom Discovery Centre is a celebration of the history and mystery of Cumbria and the Lake District. It includes a six-storey-high giant cinema screen and innovative visitor centre with a breathtaking glass atrium, a restaurant and coffee shop. Rheged is located in Penrith, just off exit 40 of the M6, on the A66 to Keswick. Tel: 01768 868000. The World of Beatrix Potter is an indoor re-creation of Beatrix Potter's books, with shop and tearoom. 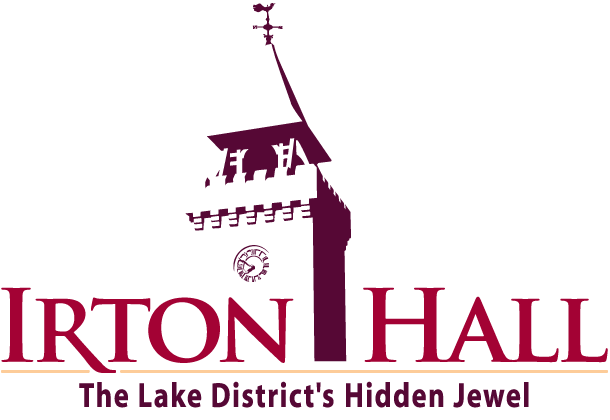 Located at The Old Laundry, Bowness-on-Windermere, it’s open from April to September, 10.00am to 5.30pm. Lakeland Sheep & Wool Centre is an all-weather visitor attraction with sheep shows (featuring 19 breeds of sheep) and sheepdog-handling demonstrations. There are four shows daily, from 10.30am - 3.30pm, Easter to mid-November. Within the attraction is the Cumwest Visitor Centre, featuring a shop and restaurant. The venue is located on the A66, via the A5068 roundabout at Cockermouth. Tel 01900 822673. Grizedale Forest Park. Here, you can walk or cycle through the park’s woodland, and there are forest sculptures along waymarked routes. Orienteering courses are available, plus there’s a sculpture playground, forest shop, exhibition and tea room. The park is located west of Windermere, and south of Hawkeshead.